(1950) Don Harvey, Forrest Taylor, Alyce Louis. A big game hunter is hired to track down a missing boy who's grown up wild in the jungle. 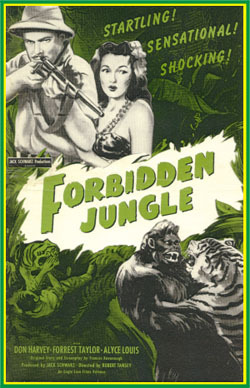 He befriends the young jungle boy and prevents him from being taken into captivity. Has a real schlocky, b&w 'B' movie feel to it. Fun. From 16mm.